It was a rainy Wednesday when I came specifically to look for this stall in this food centre. I was expecting a queue but there was none at 12.40 pm. This is a stall located at Toa Payoh Vista Food Centre, near Toa Payoh MRT station and is directly opposite Church of the Risen Christ. It is in the same food centre with the famous Gen Shu Mei Shi Shi Jia (根叔美食世家). They serve Prata in the morning and Mee Goreng from 1.30 pm to closing, at about 4.00 pm. A Makansutra award of 5-chopsticks was given to their Apom in 2013, it could be easily overlooked and mistaken that award is for their prata. Ali, the owner, acquired the skill in making prata from a friend and started off with his first shop in Ang Mo Kio before moving to Toa Payoh about 11 years ago. 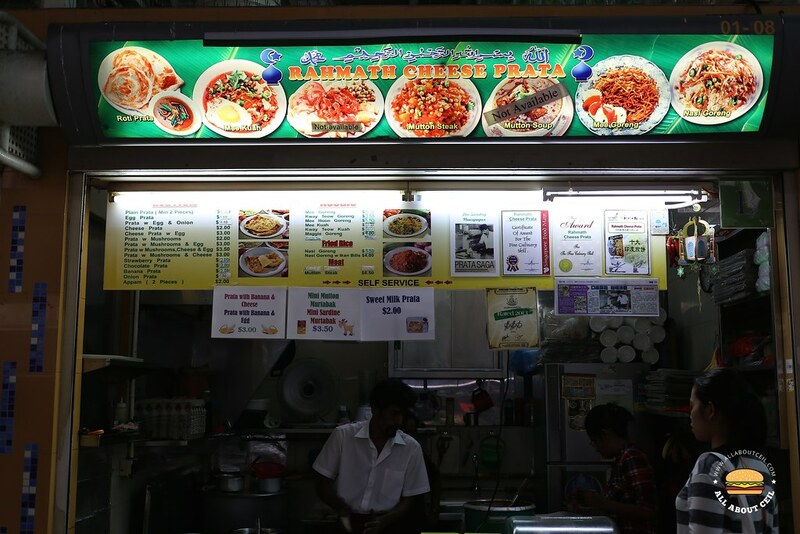 Ali named the stall as 'Rahmath Cheese Prata" using the name of his grandfather and also to include their signature prata on the signboard. I initially ordered 2 pieces of plain prata for $1.80 but decided to change a piece to cheese prata since it is their signature. Their prata is usually freshly made upon order. A piece of cheese prata is priced at $2.00, which is slightly expensive for just a piece of normal cheese to be added. It was served on a piece of brown paper placed on a tray and curry sauce in a small disposable bowl. I was looking forward to tasting the cheese prata but it did not quite meet my expectations. Perhaps, I am just expecting too much? I would actually prefer the plain prata to the cheese one as the cheese has not much effect in enhancing its flavour and it did not go quite well with the curry sauce, too. 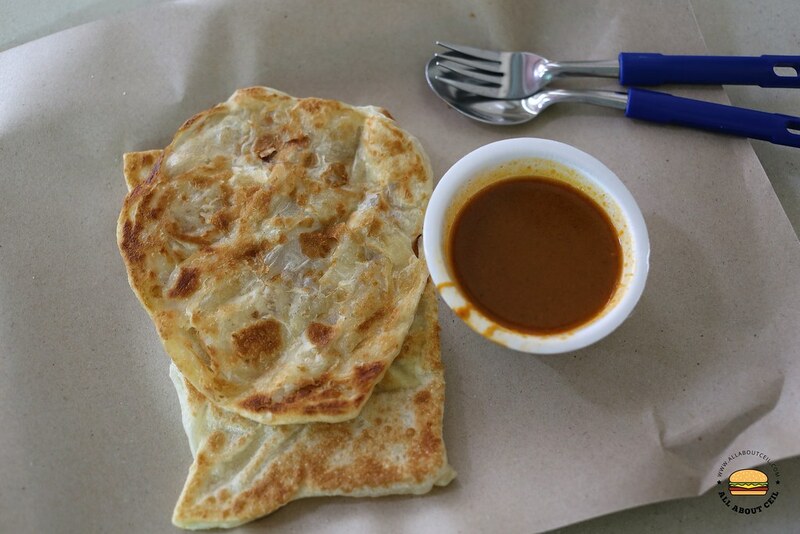 It might taste better if eat it with just sugar, the rather old-school way of enjoying prata. You should, in my opinion, skip the cheese prata and just go for the plain ones as it does not quite make sense to pay extra for that piece of cheese. It might not be the best prata but its texture was fluffy and slightly crispy on the surface. The accompanied mutton curry sauce was not as diluted as compared with some of the other stalls out there. I might just come back for their Apom someday as I am curious how good it is.